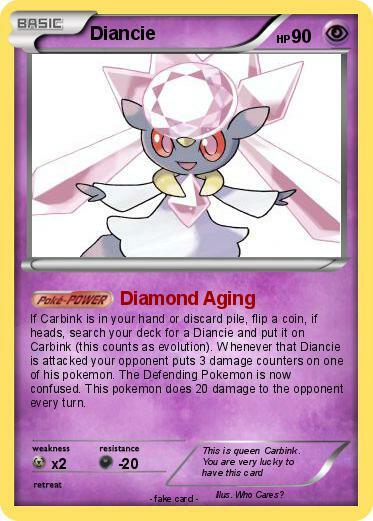 If Carbink is in your hand or discard pile, flip a coin, if heads, search your deck for a Diancie and put it on Carbink (this counts as evolution). Whenever that Diancie is attacked your opponent puts 3 damage counters on one of his pokemon. The Defending Pokemon is now confused. This pokemon does 20 damage to the opponent every turn.